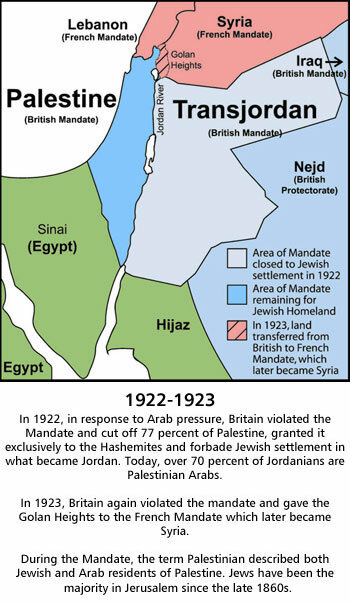 Modern Israel’s story in maps. In the first century, the Roman Empire defeated the over-1,000-year-old nation of Judea, destroyed its Holy Temple in Jerusalem and exiled hundreds of thousands of Jews. 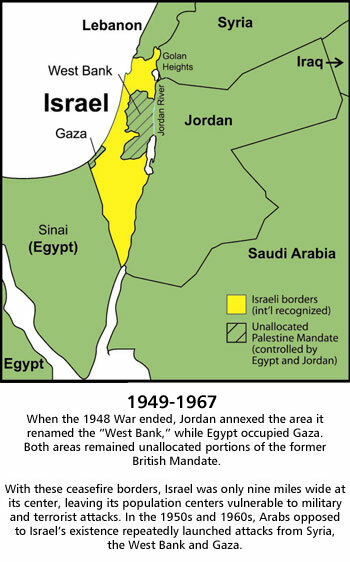 To erase all memory of Judea, Rome renamed it “Palestine” after the Jews’ biblical enemy, the Philistines, an Aegean people who had once settled along the coast.1 Afterwards, Westerners referred to the Jewish-Christian Holy Land as Palestine. 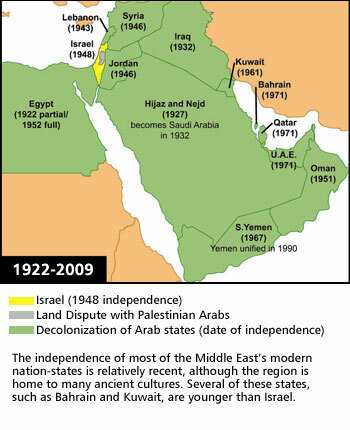 Arab peoples did not widely adopt the name “Palestine” until the 20th century. Though the name had always been associated with Jews, in the 1960s it became associated with the Arab Palestinian nationalist movement. 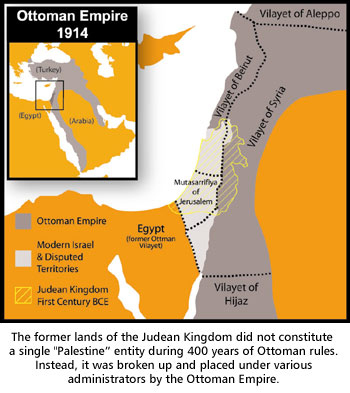 For the two millenia after the Roman conquest, no other state or unique national group developed in Palestine, and no ruler chose Jerusalem as its capital. Instead, different empires and peoples came, colonized, ruled and disappeared. Jews remained throughout these changes. Their numbers grew as exiled Jews returned in periodic waves of immigration; their numbers fell when the area’s rulers persecuted them. The League of Nations recognized the Jews’ deep ties to their historic homeland, admired the thriving community they had been revitalizing since the 1880s and established the Palestine Mandate for a Jewish homeland. 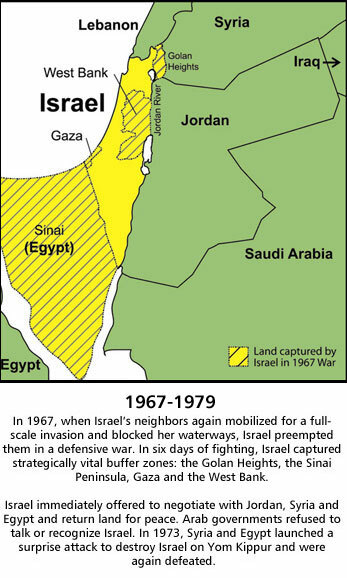 This is modern Israel’s story in maps. 1 Michael Grand, The Jews in the Roman World, 1973, p. 255; Elliott A. Green, “What Did Rome Call the land of Israel . . .,” in Midstream, October 1995. 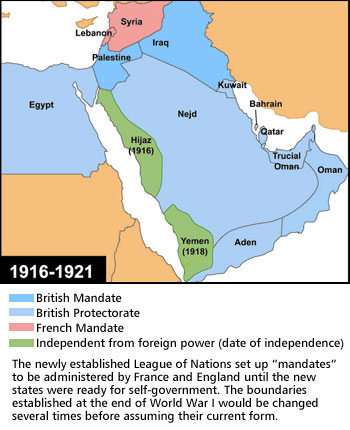 2 League of Nations, “An Interim Report on the Civil Administration of Palestine, during the period 1st July, 1920-30th June, 1921,” July 1921. 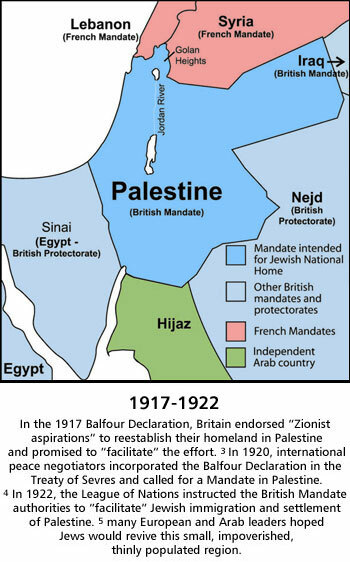 3 Balfour Declaration, November 17, 1917. 4 Treaty of Sevres, Section VII, Article 94, August 10, 1920. 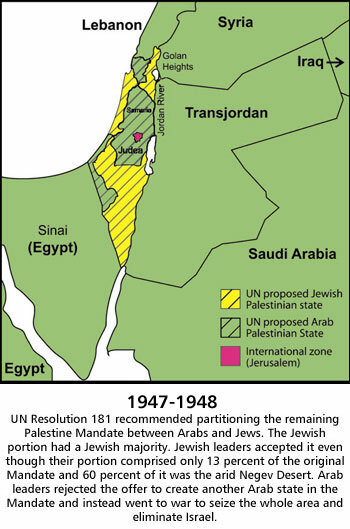 5 Council of the League of Nations, The Palestine Mandate, Article 6, July 24, 1922.